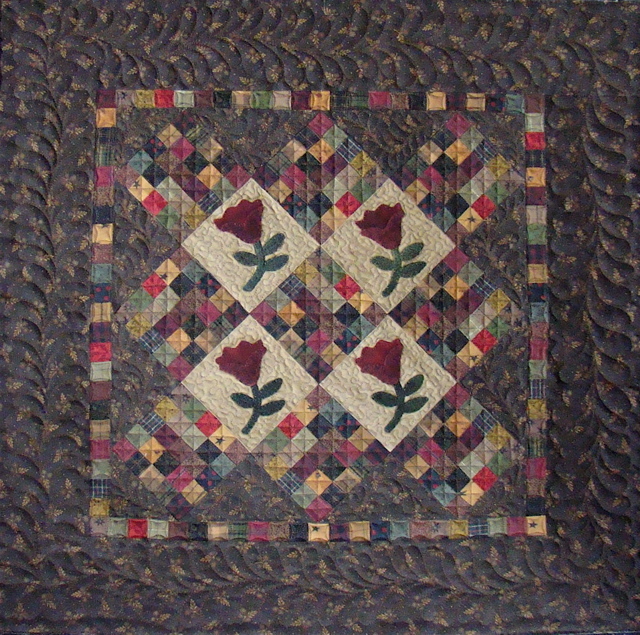 I just arrived home last night from Lee’s Summit MO, where I taught 3 classes, punchneedle, wool applique and wool applique w/piecing on a little cotton tulip quilt. There were a great bunch of teachers there as well. See below…. Jennifer Keltner, from American Patchwork and Quilting magazine, she gave a wonderful show on Wednesday night, showing off some of the new designs coming up in the next couple of issues….she even had my quilt with her, I was so happy to see it…I sent it to them in Dec/2007. 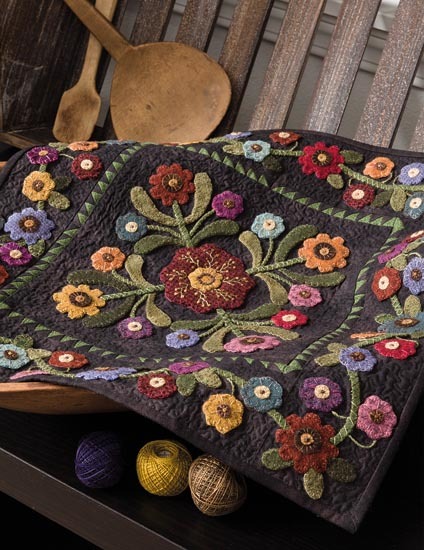 It will appear in the next issue coming out in August…Look for Autumn Bliss, featuring our hand dyed wools! 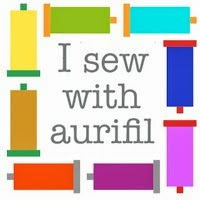 You can even order a kit that includes the threads! 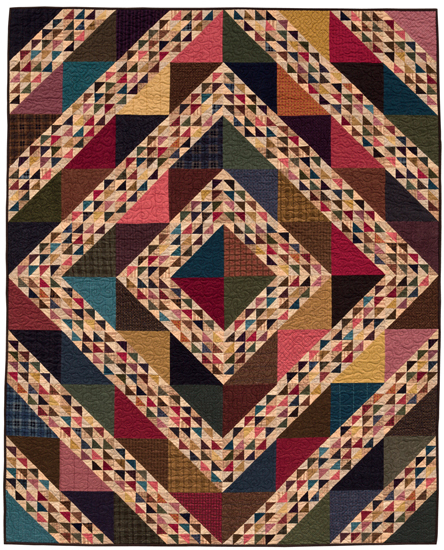 Jennifer had many many beautiful quilts coming up in their next issues…a few from Julie Hendricks of JJ Stitches…antique quilts, with reproductions made of them…I know I am going to make one of those quilts. So be sure to look for the great quilt designs coming up! Ahh… that is where you were! I stopped in the shop Thursday night to pick up my blocks of the month, but you were gone. I will catch you next month I hope! Love your pictures and thank you for sharing about your trip! I hope to be able to do more things like that once my youngest goes off to college. 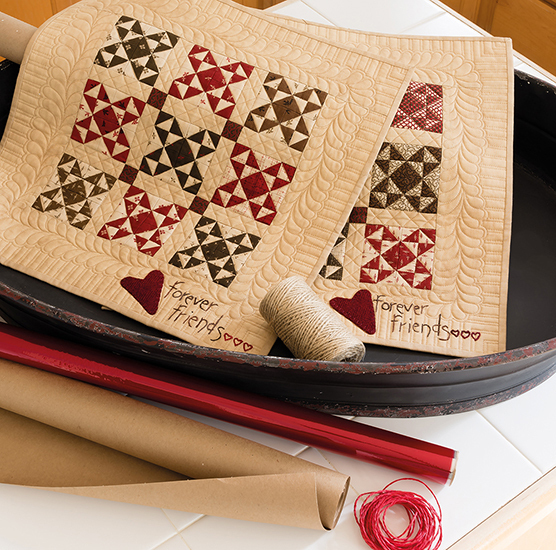 :o) Can’t wait for the American Patchwork Magazine to come out! I will look forward to seeing your project. Thanks for the wonderful pictures…I’d love to get to Primitives on of these years. I’ve got my Blocks of the Week prepped and ready to take with me to the beach for my week of vacation. I should get caught up. YIPPEE! Lisa, both your trips sound wonderful. Primitives of the Midwest is definitely on my list of dream trips. Choosing one teacher there would be challenge. Thanks for sharing and I must get busy on the BOW. I look forward to the magazine article.